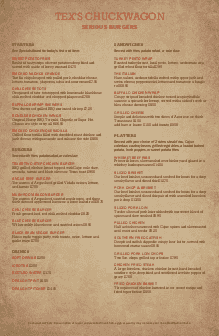 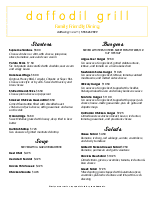 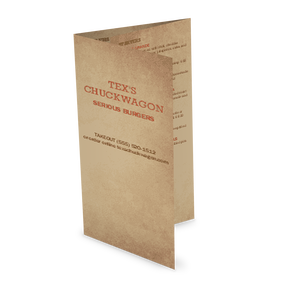 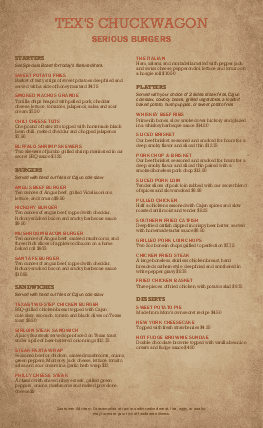 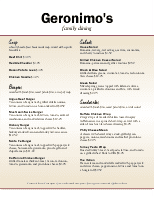 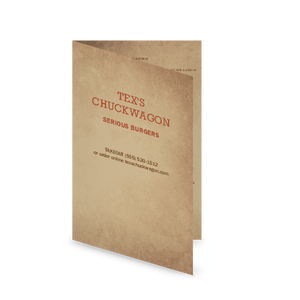 An understated casual menu suitable for a pub, bar or family style restaurant. 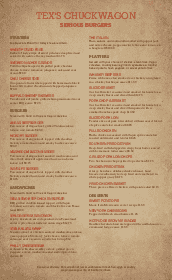 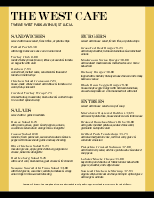 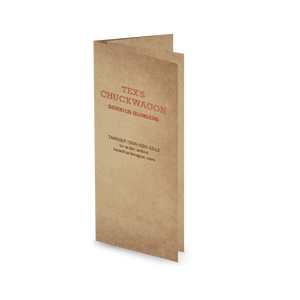 The brown and orange text on the aged parchment background form two long columns for your menu sections. 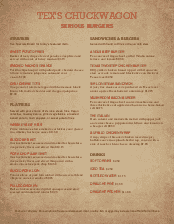 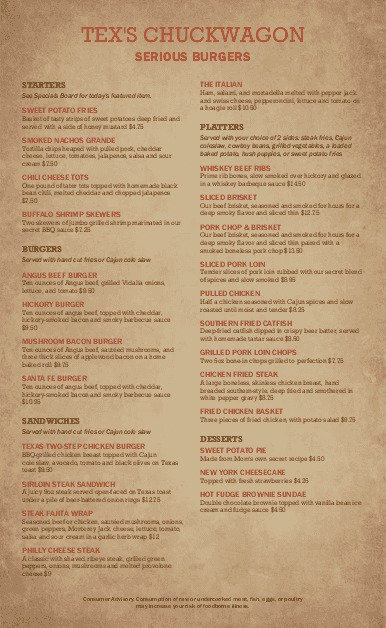 Edit this legal-sized burger menu online using the Menu Editor.